Summer time makes me think of the beach. One thing at the beach…is the ocean! 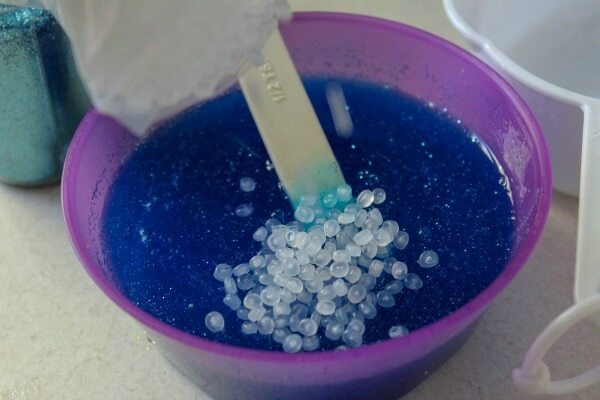 There are lots of colorful fish in the ocean and this DIY Fish Slime will definitely make your kids think they are at the ocean! 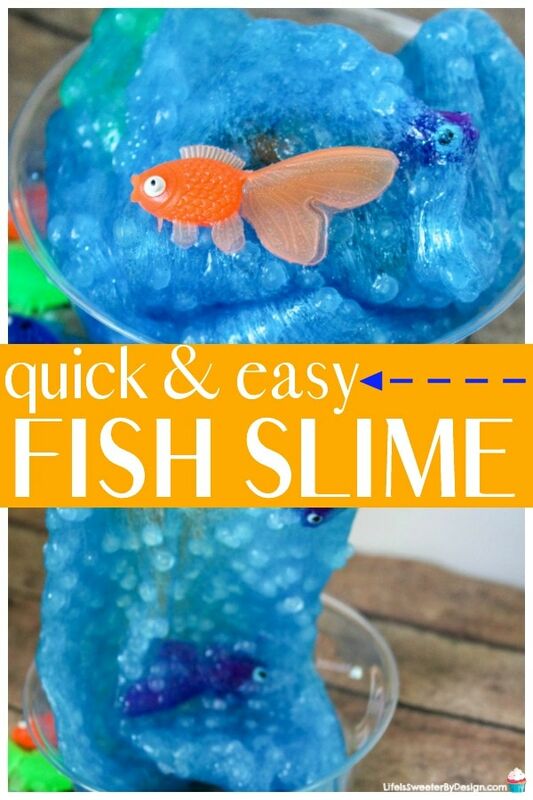 This fish slime would make a great activity for a SUMMER party! Making the slime will keep kids busy and once they are done it will be fun to play with. Then you can package it up and send it home with the guests. Drop a few colors of blue coloring. 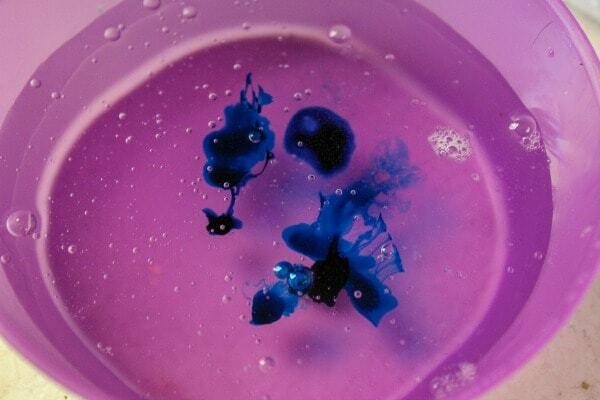 We use these soap dyes . I love them – there are a ton of colors to choose from and they don’t color your hands. I mixed a bit of navy with neon blue. Stir to mix. Next, add in glitter. 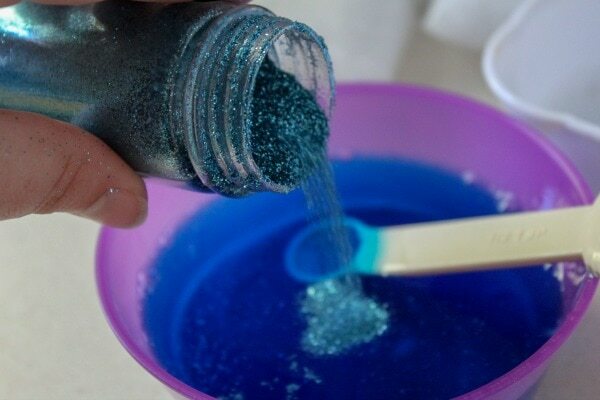 We mixed a bit of light blue and dark blue fine glitter. Pour in clear fishbowl beads. You can always add more later to get the consistency that you want. 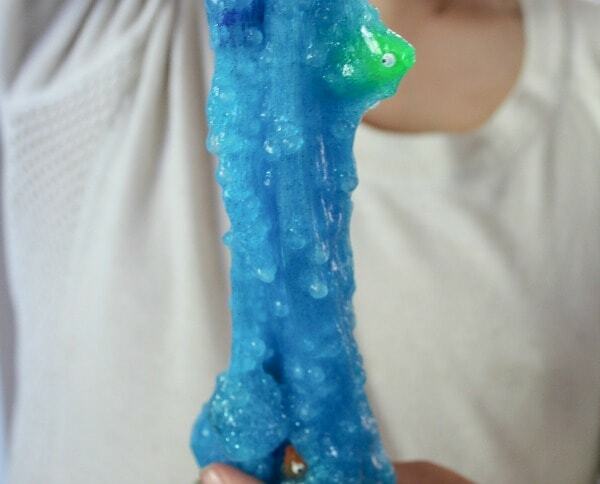 Knead the slime until it is no longer sticky. Add a few plastic fish and it is ready to play! Some people say that the slime craze is over, but not in my house! 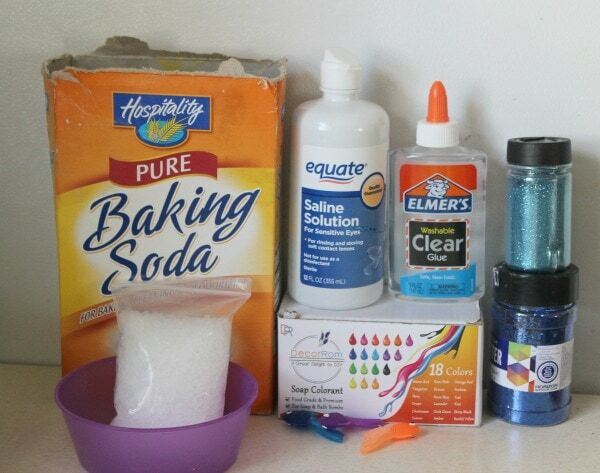 There are just so many ways to make slime that the options are endless. 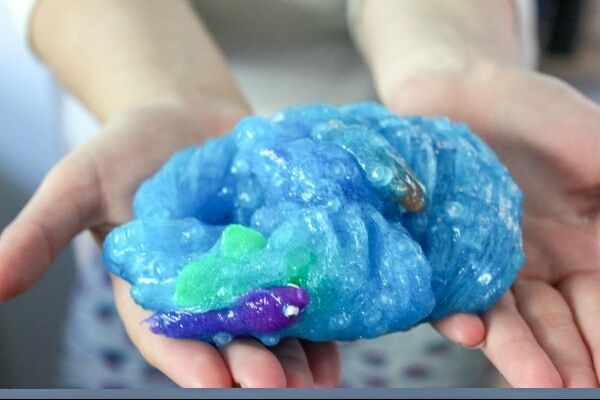 From making Halloween Slime to Mermaid Slime…your kids and mine are having a blast! I love that when the kids are making and playing with slime they aren't in front of a screen! It is a win for everyone!! What kind of slime do your kids like to make?